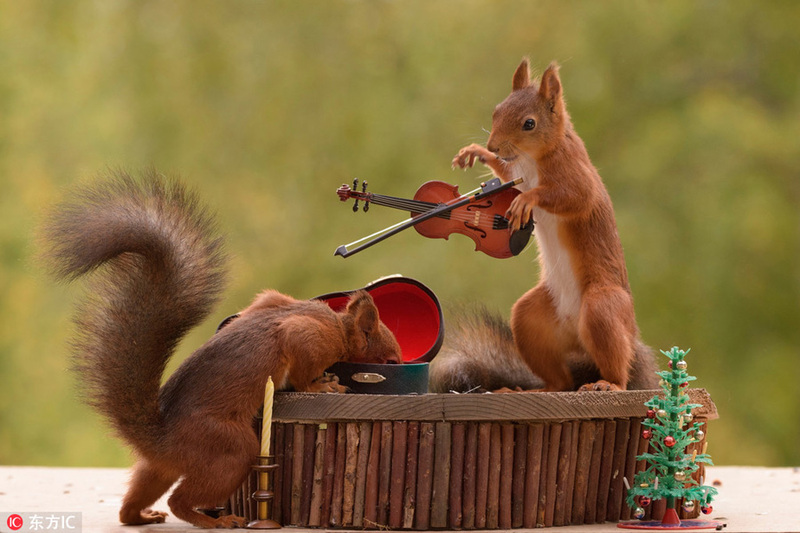 This hilarious image shows red squirrels displaying their musical skills on mini musical instruments. The critters looked like they could be driving their woodland neighbors nuts with violins, guitars, saxophones and even a little drum kit. Photographer Geert Weggen captured the scene after setting up specially purchased props outside his forest-based home in Sweden.